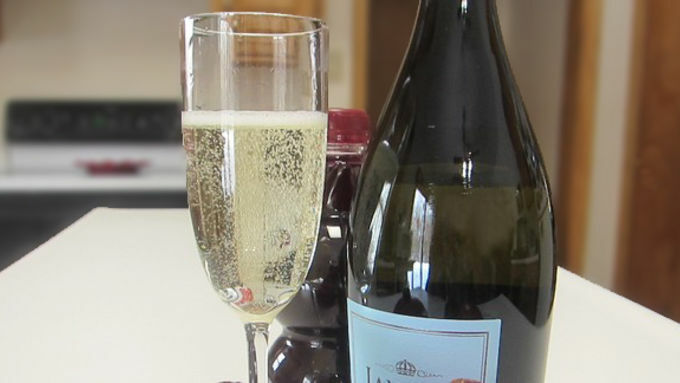 Fill a champagne flute three-quarters of the way with prosecco or your favorite sparkling wine. Note. Since you're mixing juice into the bubbly, there’s no need to get the expensive stuff. Any bottle around $10 will do. 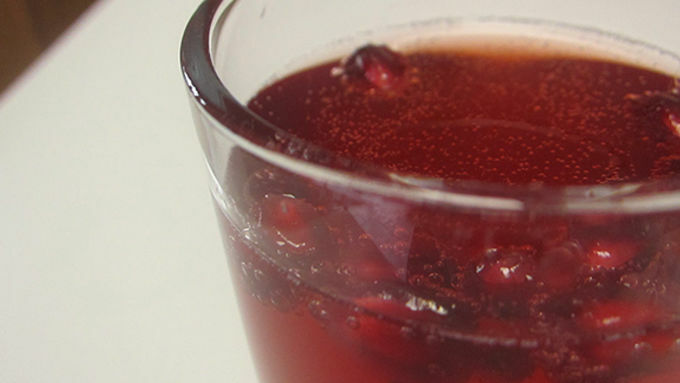 Fill the rest of the glass with pomegranate juice. For a fun garnish that you can eat when the drink is done, throw in 5-7 pomegranate seeds. These add a tart flavor burst and some texture. Cut your fruit open, wash off the seeds that you pull out, and drop them right into the glass. One pomegranate is more than enough to garnish more than a bottles worth of mimosa. 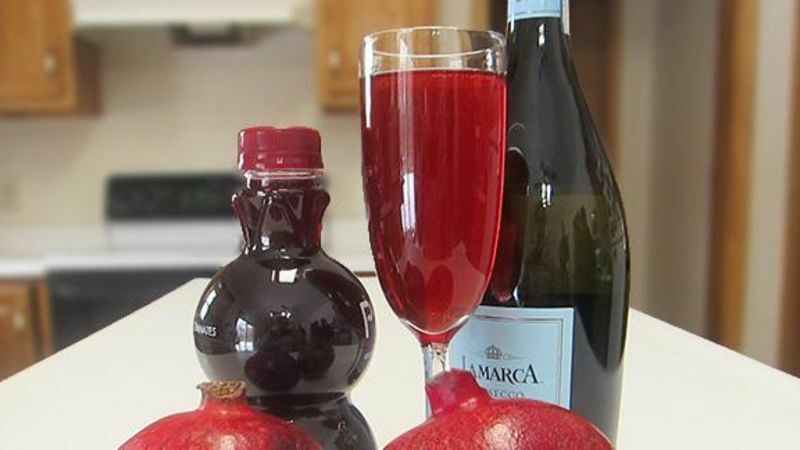 After an evening celebrating, enjoy this perfect brunch cocktail to toast in the New Year! Pomegranates aren’t just super tasty, they're also a superfood. Filled with antioxidants and other nutrients, pomegranates help promote health and well-being. For another type of well-being, the mimosa is the perfect daytime drink. Combining the two makes a simple brunch cocktail that makes it easy to raise your glass and toast to good health. Note: Since you’re mixing juice into the bubbly, there’s no need to get the expensive stuff. Any bottle around $10 will do. Drink and enjoy!